Since OPEC announced the production cut deal at the end of November, industry analysts have been warning that rising production from producers outside the deal—U.S. shale in particular—is effectively capping the oil price gains from that agreement. Four months after the OPEC/NOPEC deal took effect, oil prices dropped to the levels preceding the agreement, amid concerns over still stubbornly high inventories and rising U.S. output. Shale production has been gaining 'significant momentum', and there is a limited downside risk in the short run, Norway-based consultancy Rystad Energy said in a report last week. Oil production in the Lower 48 excluding the Gulf of Mexico is expected to rise until the end of the year even if the price of oil plunges to US$40, Rystad's analysis shows. Since December 2016, oil output in the Lower 48 states, minus the Gulf of Mexico, has been on a continuous expansion, with 430,000 bpd growth so far. The growth from the average level in the fourth quarter of 2016 to May 2017 is around 340,000 bpd, Rystad said. According to the EIA data, Lower 48 states' field production of crude oil has been growing each week since early December, right after OPEC said it would curb supply to try to balance the market and lift the price of oil. Despite the worries that cost inflation may slow down production growth, Rystad believes that completion activity is poised to surge for the rest of this year. At WTI price of US$50 per barrel, Lower 48 output is seen to be growing by an additional 390,000 bpd between May 2017 and December 2017, the consultancy noted. The U.S. operators have built up a new inventory of drilled uncompleted wells (DUCs) as the rig count recovery has been outpacing completion growth since the second half of 2016. If the price of oil was to crash to US$40 or even US$30 per barrel, a major part of those DUCs would still be commercially viable for completion, due to the fact that "drilling costs are sunk", Rystad said. "Therefore, a drastic downward shift in the market conditions will not lead to a rapid collapse of the U.S. oil production," the consultancy noted. The U.S. operators are expected to relatively quickly adjust even to $30 per barrel oil, and they will rely on hedging gains or just outspend more in the short term. According to Rystad Energy, no more than 500,000 bpd of December 2017 production are at risk should the WTI price drop to US$30. "If the prices go down to 30 USD/bbl and we assume that operators behave rationally, we should observe relatively quick adjustment of activity, which will result in a temporary contraction of output with stabilization in 4Q at the level 100 MBbld lower than the current output as base production gets more mature," Artem Abramov, Vice President Analysis at Rystad Energy, said in the report. "In reality, history tells us that many operators will rely on hedging gains or simply outspend more, so short-term evolution of supply in the 30 USD/bbl world might end up much closer to the rational 40 or even 50 USD/bbl scenarios," Abramov noted. 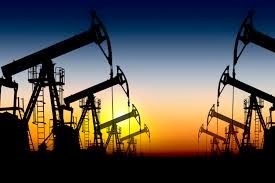 U.S. producers rushed to lock in oil prices above US$50 after OPEC's deal was announced, and most of the new oil derivatives since Q4 2016 have been added at strike prices between US$50 and US$60 a barrel, Wood Mackenzie said in an analysis at the end of March. U.S. shale survived the oil price crash with cost cuts and lower breakeven prices, and emerged more resilient from the slump. According to a Rystad Energy analysis, since 2013, the average wellhead breakeven price (BEP) for key shale plays has dropped from US$80/barrel to US$35/barrel. Last month, oil prices were seen dropping to US$40 or lower on fears that OPEC may not roll over the production cuts. But as the cartel and partners found their goal to reduce global oversupply to an acceptable level by June increasingly elusive, on Monday Saudi Oil Minister Khalid Al-Falih and Russia's Energy Minister Alexander Novak said in a joint statement that they "agreed to do whatever it takes" to reduce the global commercial oil inventories to their five-year average, and the production deal "should be extended by 9 months, through March 31, 2018." If this latest OPEC/NOPEC tactic to talk prices up succeeds, U.S. producers will feel more comfortable to increase production with WTI prices closer to US$50 than US$40 or lower.